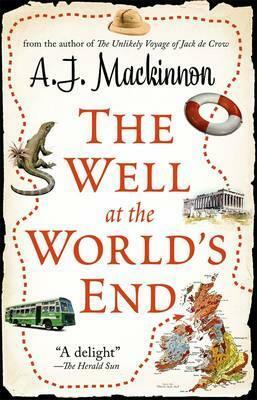 When A. J. Mackinnon quits his job in Australia, he knows only that he longs to travel to the Well at the World's End, a mysterious pool on a remote Scottish island whose waters, legend has it, hold the secret to eternal youth. Determined not to fly ('It would feel like cheating'), he sets out with a rucksack, some fireworks and a map of the world and trusts chance to take care of the rest. By land and by sea, by train, truck, horse and yacht, he makes his way across the globe - and through a series of hilarious adventures. He survives a bus crash in Australia, marries a princess in Laos, is attacked by Komodo dragons and does time in a Chinese jail. The next lift - or the next near-miss - is always just a happy accident away. This is the astonishing true story of a remarkable voyage, an old-fashioned quest by a modern-day adventurer. A.J. Mackinnon is the author of The Unlikely Voyage of Jack de Crow.